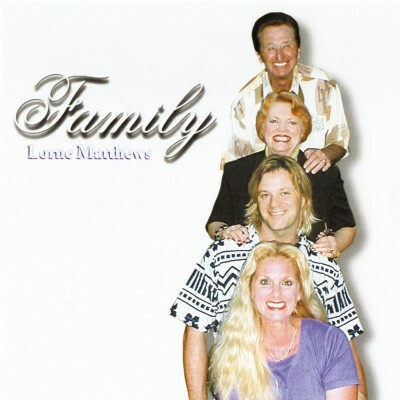 Lorne, Jimmie Ruth, Mark and Melody started singing together as “The Lorne Matthews Family” in the mid 60’s. Melody was three when she made her first recording (she is now the mother of five children of her own). Mark had a miniature bass guitar that still was large for him. However, he was able to amaze other musicians with his natural talent. Melody’s long ringlet curls and Mark’s John-John hair cut represented the styles of that era. They never knew fear of standing before an audience… growing up in the Matthews family seemed to make it just a natural part of any day. This project captures some of the songs of the family singing together as adults, with Mark playing the bass. Some songs have orchestra background.